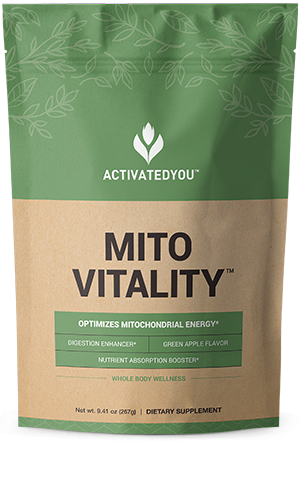 Drinking just one serving of Mito Vitality a day optimizes your body’s energy production on three levels: First, it streamlines your digestion, so the food you eat is more easily converted to energy. Second, it supports healthy blood flow, so energy is delivered to your cells — fast. Third, it protects your mitochondria — to keep your body energized. And enjoying a nourished, revitalized body, and powerful all-day energy is as simple as enjoying a glass of fresh apple juice — thanks to the crisp apple flavor of this easy-dissolve drink powder. Try it in water for a classic apple flavor, or switch things up by dissolving it into green tea, coconut milk, or even your morning smoothie. Who should use Mito Vitality? Mito Vitality is perfect for anyone who wants to enjoy lasting, all-day energy without a caffeine “rush” or jitters. 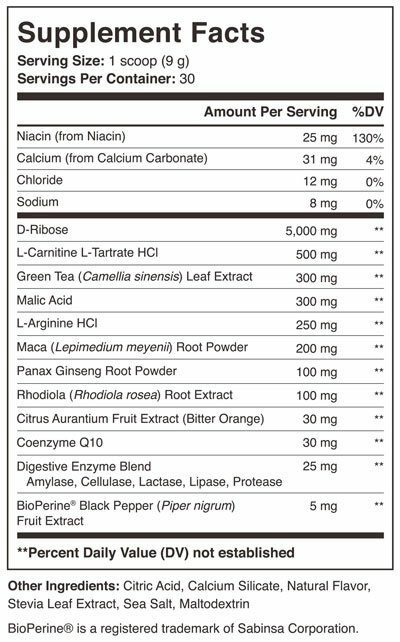 This formula is designed to revitalize your body, boost your energy, and streamline your digestion — so it’s the ideal formula for anyone who wants to feel their best, day in and day out. How safe is Mito Vitality? How should I use Mito Vitality? Using Mito Vitality is simple — combine one scoop with 8 fl. oz. of water and enjoy once daily. If you’d like to shake things up a little, try adding a squeeze of lemon, or blending your Mito Vitality with green tea, almond milk, or even a smoothie. What if Mito Vitality doesn’t work for me? We’re proud of our products so we stand behind them, 100%. That’s why Mito Vitality is covered by our 90-day ActivatedYou™ Promise. 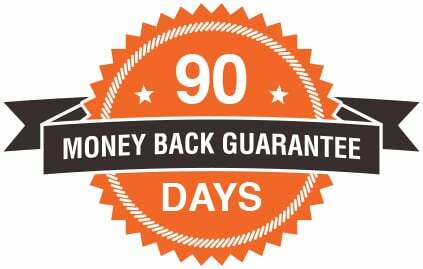 If you’re not thrilled by your results for any reason, just contact our customer service team, and we’ll refund your purchase — even if your jars of Mito Vitality are empty.